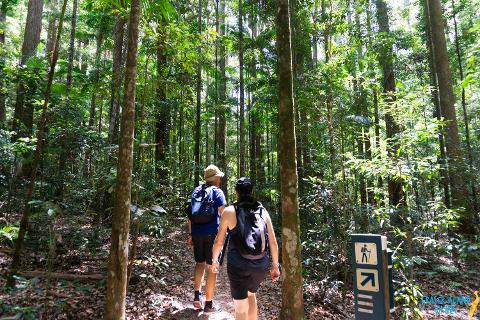 Our pack-free camping hike experience is a self-guided hiking experience with a twist of comfort! 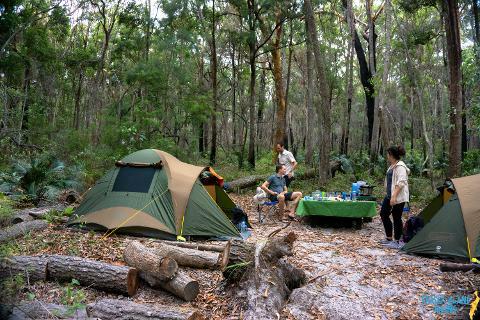 It lets you enjoy the thrills of camping and hiking, whilst letting us pamper you a little! 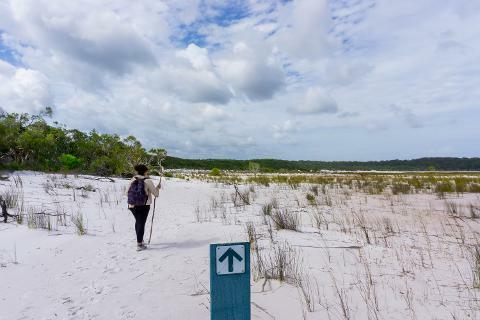 These hikes include a 4WD transfer to the trailhead and a 4wd pick up at the end locations of the hike. 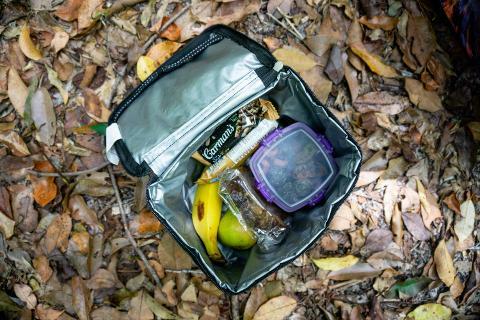 They also ensure hikers only carry a small day pack whilst hiking. 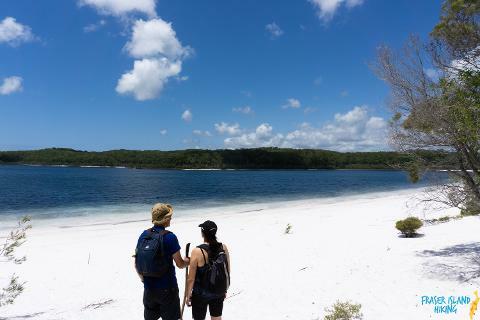 Our Fraser Island Hiking team will drop off all equipment (other belongings, tent, food, etc.) 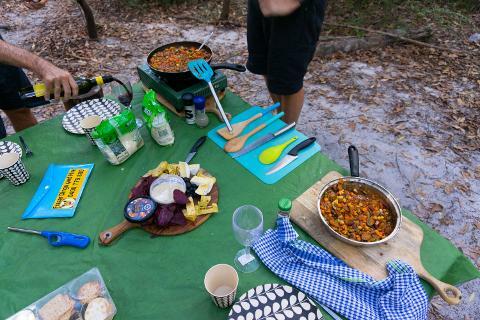 and set up your camp ahead of you, making for a relaxing, easy hiking experience. 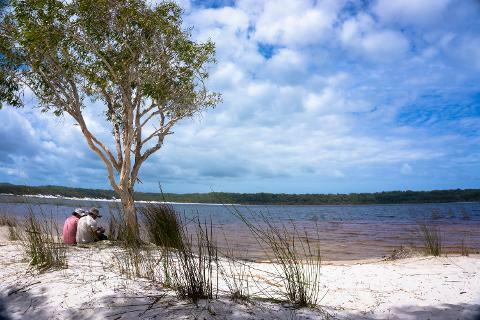 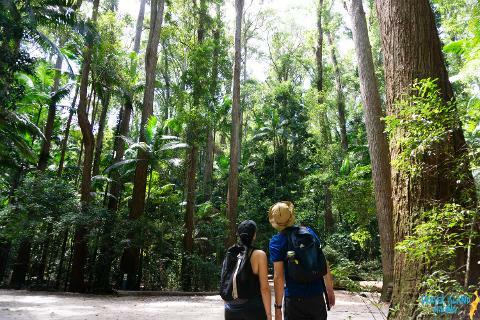 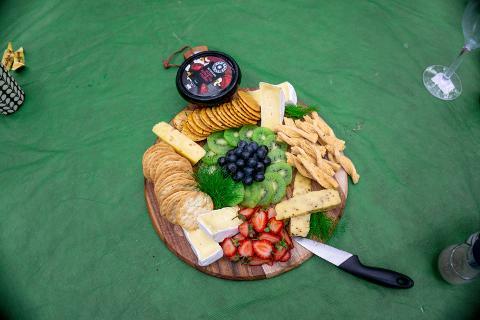 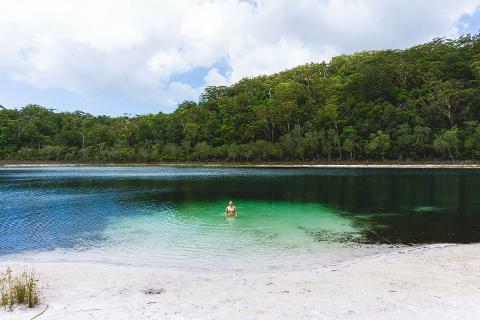 Glamping hikes are a great way to enjoy the pristine beauty of Fraser Island without having to carry a heavy pack all day!